The mini split AC and heat pump market continues double-digit growth every year because the equipment is efficient, cost-effective and offers versatile installation options. But what are the best mini split system brands? 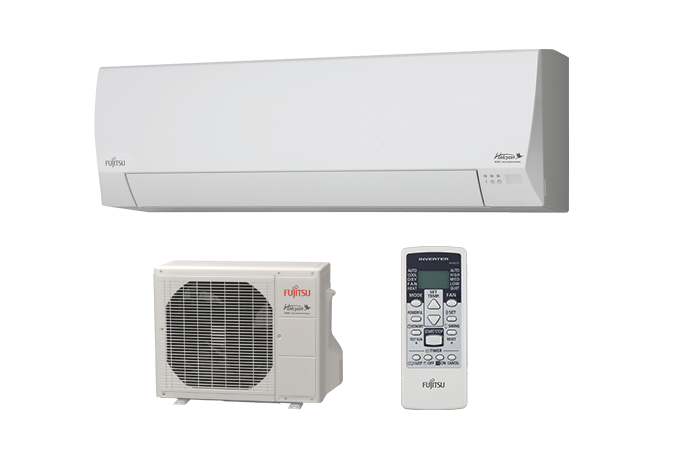 This guide covers the top ductless HVAC brands for single zone, multiple zone and a newer category of heat pump, the cold-climate mini split system. If you’d like to research mini split HVAC basics, brands, prices, options and sizing a system for your home, our comprehensive Mini Split Buying Guide is packed with information. The units on this top ductless HVAC list aren’t necessarily the most efficient. They are the mini split heat pumps that will give you durable performance you can count on for 15-20 years or more. A single-zone system is an outdoor unit (condensing unit) with one indoor unit (evaporator/air handler). The zone can be a single small bedroom or office or something as large as a spacious living room or garage or shared workspace. Units from 9,000 to 24,000 BTU are common. In short, single zone units are used for spaces from less than 100 to more than 1,000 square feet. This table gives the top single zone mini split units with basic features. There are additional details below. BTU Output: We use "K" for 1,000 BTUs. Some brand literature uses MBH for 1,000 BTUs. SEER/HSPF: For direct comparison, the ratings are for each model's 12K unit. Units smaller than 12K are more efficient; models larger than 12K are less efficient. System Cost: This is the installed cost range for complete 12K systems. Warranty: The first number is the compressor warranty. The second is the general parts warranty. There’s a reason every mini split retailer sells Mitsubishi. The brand has an excellent reputation for performance and durability. The MUZ-FH is a super-efficient series available in multiple sizes, each with a compatible indoor wall-mount unit. This complete system with indoor wall mount units is not LG’s most efficient, but certainly its most reliable. Daikin sells its heat pumps in complete systems. This unit is also sold as a floor-mount combination. It combines good efficiency with excellent performance. These systems include a single outdoor unit and 2 or more indoor units with 8 maximum for the largest systems. For example, a 36K outdoor unit might support four 9K indoor units three 12K indoor units, two 18K indoor units or some other configuration that adds up to 32K to 38K. The total can be close if not exact. See the Single Zone table above for explanatory notes on each column. SEER/HSPF ratings vary widely with multi-zone systems based on number of zones and type of indoor units. This is a fully variable system that modulates compressor capacity and fan speed to optimize climate control. Both cooling-only and heat pump models support multizone operation. This advanced-tech system offers flexibility to heat and cool from 2-8 zones in a single system. You decide which zones receive heating or air conditioning, and climate control is programmed separately for each one. While the outdoor unit’s capacity is 48,000 BTU, you can install a collection of indoor units totaling 62,000 BTU, though all can be running at full capacity all the time. Here’s another outstanding series from Mitsubishi Electric. The MXZ Series includes more than 10 outdoor units, and each one can be matched with a complete range of floor, wall and ceiling indoor units, six styles total. This allows you to customize your HVAC system to your exact needs. Heat pumps have been ruled out for use in very cold climates until recently. The cold-climate technology has improved significantly, and now many brands make units capable of heating effectively in temperatures well below freezing. They do it with traditional heat pump technology. Among the models listed above are several capable of heating in freezing weather: Gree Crown+ (-22F), LG Multi V S (-13F). Here are 3 more that stand out for heating effectively in the very coldest weather. The ratings on this single-zone heat pump are the best available. It delivers 15 HSPF heating and is 90% effective in temperatures to -22F. It’s SEER AC rating is a sky-high 38 SEER. It shares features and technology with the Gree Crown+ in the Best Single Zone models list above. This is the top multi-zone mini split heat pump in this category. It is effective to -15F and includes a base pan heater to prevent freeze-ups in extreme cold. The features of the Halcyon Series are included in the above list of Best Single Zone models, though this unit is capable of heating and air conditioning in 2-5 zones. This advanced mini split heat pump maintains 100% heating effectiveness to 23F, a point where most conventional heat pumps deliver about 60% of heating capacity. The effectiveness of the MXZ H21 is 76% at -13F (-25C). This system offers efficiency as high as 19.1 SEER and 11.3 HSPF. It’s designed for 2-8 zones with capacity from 12,600 to 48,000 BTU (1-4 tons). Factory-installed base heater prevents freeze up. The efficiency and performance of a quality mini split heat pump can be diminished by improper installation. While these systems are growing rapidly in popularity, the number of qualified installers isn’t keeping pace with demand. We can help you find an HVAC company in your area with good experience installing mini split systems. Use our Free Local Quotes and you’ll receive written estimates from several of the top-rated installers in your area. They are prescreened to make sure they are licensed, insured and experienced. It’s a quick and convenient way to ensure you find an installer that knows what they’re doing. There is no cost or obligation for using the service.